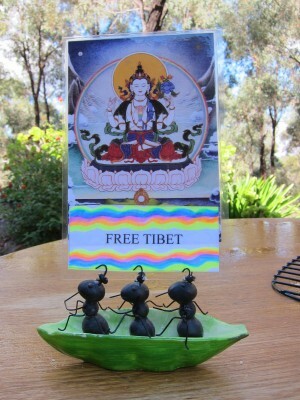 Ants for a free Tibet, crafted by Lama Zopa Rinpoche, April 2011. Karma is your experiences of body and mind. The word itself is Sanskrit; it means cause and effect. Your experiences of mental and physical happiness are the effects of certain causes, but those effects themselves become the cause of future results. One action produces a reaction; that is karma.